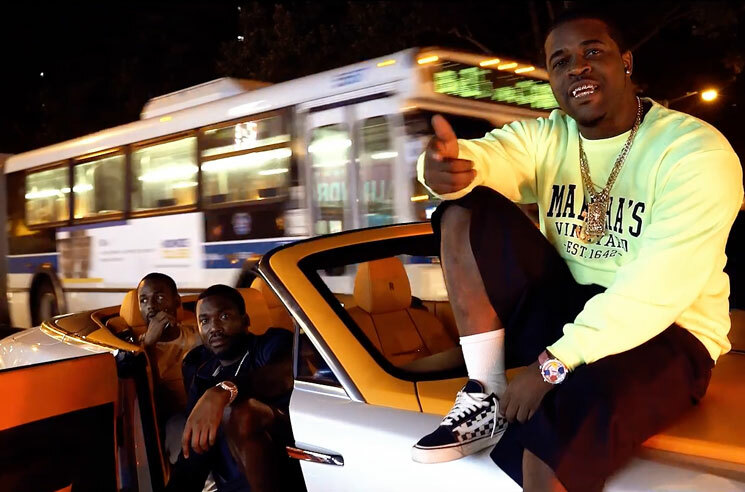 After delivering videos for "Plain Jane" and "Nandos" in the wake of releasing Still Striving, A$AP Ferg has shared another clip for the Meek Mill-assisted "Trap and a Dream." The clip finds the two rappers pulling up on a group of friends on the block in a Rolls Royce, delivering their bars from the car and crowd. You can watch the clip in the player below. Ferg also dedicates some title cards to his collaborator's prison sentence. Earlier this week, Meek Mill received a sentence of two to four years in prison following a probation violation for a 2008 gun and drug case. The hip-hop community has blasted the decision, with JAY-Z using stage time in Dallas on Tuesday (November 7) to speak out against the ruling.